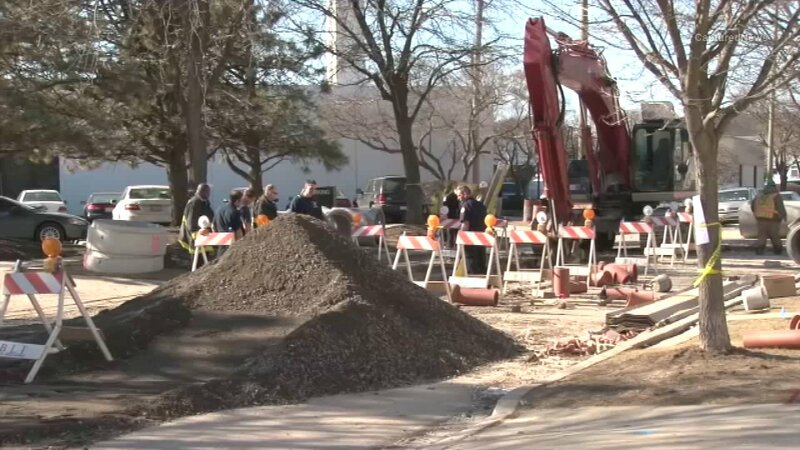 CHICAGO (WLS) -- A city construction worker died Monday afternoon after a trench collapse, the Cook County Medical Examiner said. Shortly after 1 p.m., the 41-year-old bricklayer was working on a sewer being replaced near Sauganash and Keeler when the trench caved in, according to the Chicago Department of Water Management. Rescue workers pulled the victim from the trench and he was taken to Saint Francis Hospital in Evanston, but did not survive. Chicago police are investigating the accident and the water department is investigating what caused the trench to give way.